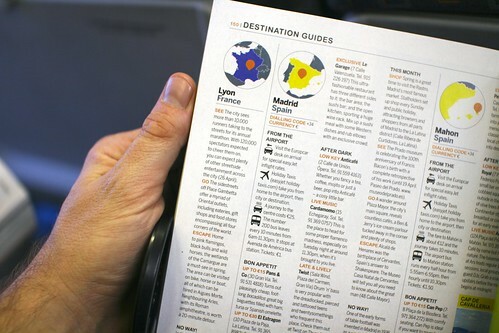 Travelling very often in different european cities, I am always curious about Easyjet place recommendation to observe what sort of advices they bring to the table and how they renew their propositions over time. One of the feature that interest me is the "Escape" part, the quick description of how to go out of the city you just landed and what sort of magical things you can discover in the surroundings. I generally look at various cities (Paris, Lyon, Geneva, Lisbon, Milan, etc.) and am sometimes struck by the granularity of the "escape" range. Sometimes, most of the time I should say, the recommendation is to visit something nearby. The term "nearby" or "vicinity" is not stated, yet it's the basic assumption of the "escape paragraph". Like you're in Paris and one recommend you a quick hop to Eurodisney, not my thing but it's fair enough, it's quite close in termes of mileage (kilometers for the metric readers). However, there are sometimes exceptions. 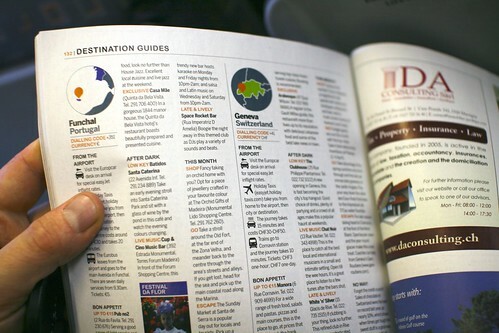 In the example shown form a recent Easyjet trip, the description of the city of Lyon is filled with "escape" notes about the possibility to visit Camargue. Surely a nice place that I explore from time to time, but definitely not perceived as "nearby" from the continental europe standpoint... given that you must at least drive 3 hours from Lyon to get there. Why do I blog this? This is definitely no big deal but it strikes me as revealing to what extent representations of "nearby escape" can be perceived. There is clearly here a gap between the writer's mental model and reader's representations. Of course, there is not just one type of reader and it may matter to escape from Lyon and go to Camargue. What is at stake here, and it's a must-have question for location-based services designers, is the notion of spatial granularity which needs to be taken care of. Let me reformulate it here: if you want to provide people ("consumers") with location-based information about what is relevant in the vicinity, how can you make sure what is hidden behind the term "in the vicinity" or "nearby"?